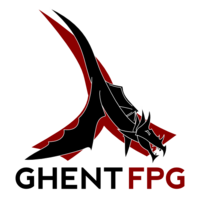 The "Functional Programming Group Ghent" (GhentFPG) is just starting up. We'll have a next meeting at the end of April/beginning of May (date to be selected with a doodle poll). Suggestions for talks are welcome! The Utrecht Haskell Compiler (UHC, http://www.cs.uu.nl/wiki/UHC) is a full-fledged Haskell compiler intended to be experimented with. Internally, the code is aspectwise organized in such a way that (executable) compilers can be constructed from combinations of aspects. Domain specific languages are used to facilitate development, in particular attribute grammars (UUAG, Utrecht University Attribute Grammar system) are used extensively for tree-oriented programming. The development of UHC is interwined with both student and PhD projects: UHC gives rise to new research problems, and is a place where such research results can be made available.